Encore superbly intertwines themes of history, myth, psychology, romance and many more. Was this a conscious effort when you started writing or did this happen organically while writing? Tantra: Thank you very much. I wrote the original idea as a Psychological Suspense novelette intentionally claustrophobic in scope. A hypnotist programs a standby to believe she is his wife, the star of a show, and abducts her before the curtain following the encore removes the post-hypnotic suggestion. He takes her, while she still believes she is his wife, to live in an “empty” alchemist’s castle. I began with the alchemist’s castle that Miriam is taken to because I know a lovely man who sometimes lives in his family castle and sells homeopathic alchemical monoatomic elixirs using gems, flowers, and such. That’s the extent of my kind friend’s similarity to anything in the novel, but it sparked my imagination to bring the Gothic convention of immortality elixirs up to date in a believable way. A Thriller sensation slowly creeps up in each book with the big dramatic clash of the two factions at the end, the societally controlling and the heroic exposing of that mass mind control. When studying for my hypnosis certification long ago, I learned about negative hallucinations, when someone standing in front of us disappears if the hypnotist so commands. The Agents of the Nevermind are always up to something, always getting their noses into hypnosis. Subtle hypnotic techniques used by intelligence agents/news anchors sway a country into believing the deceitful narrative. Thus, proxy wars and coups garner popular support. The more the public’s wits are softened, the more easily they can be fooled, and thus the Agents’ Occult Revival throws off people’s natural propensity toward logic. I explore ways that mind control has been used by the government throughout history, such as with the myths of Atlantis, Shambhala, and Camelot. The idea for legend-wars came late in the book’s creation, arising from studying of mystical imperialism in England. The historical use of those legends that I describe in the book is factual and it eventually structured the narrative conflict. Intelligence agents poached those cultural legends internationally, to persuade countries to align with them militarily. I wanted to please readers with a fulfilling, moral romantic story. So, I eventually integrated Miriam’s friend Colin into the plot, who has no idea where she has vanished to, at the end of the last show of the theater season. The romance is Gothic in that Miriam is torn between the “light” and “dark” men and becomes isolated and gaslighted by the latter. Dune is dangerous, forbidden, rumored to be an Agent, the object of her sexual obsession, and in control of her subconscious. I deliberately pushed further into the “friends to lovers” to thrill the fans of that trope. Colin is the handsome, playful friend, a conscientious publisher who reliably does good things for her. But once he goes feral – watch out! I enjoyed the Gothic underpinnings of this book. What were some Gothic sources of inspiration for you? Tantra: I studied Gothic history in depth to understand the history underlying the conventions, including thorough material like Tyler Tichelaar’s The Gothic Wanderer: From Transgression to Redemption, and Gothic Imperialism, the Gothic Imagination Podcast, Gothic Studies Journal, “The Imperial Gothic” by Suzanne Daly, “The Truth About the Winchester House,” and Invisible History Blog’s Mystical Imperialism. In terms of modern imaginative works, I didn’t draw from the directly, but I love the Spanish TV show, El Internado, Bates Motel, Crimson Peak, Ghost Flower by Michele Jaffe, My Sweet Audrina, Gothic Romantic Suspense by Phyllis Whitney, Mary Stewart, Daphne du Maurier, and Awakening by S.J. Bolton. Characters that seem as if they walked out of a novel inspired the book, like John Mulholland, who of the British Magical Society, an officer who wrote the spellbook for soldiers, and went to work for the CIA and wrote their manual on deception and misdirection. Gaslighting of individuals who are used to gaslight a large population is a major interest in the book and the series. Encore ‘dramatizes mystical sensual energy manipulation techniques’. How did you come about this topic and why did you want to explore this in your book? 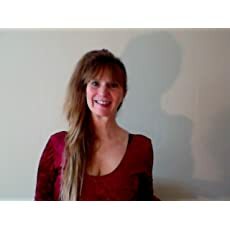 Tantra: I studied about energy from childhood, learning to detect it through formally studying remote viewing until I became extremely accurate at age 11. When I got older, I learned advanced Tantra Yoga and taught it. The aspects of Tantra that require belief don’t convince me, but the exercises are very effective. Tantric history includes dark elements such as sexual energy vampirism and the sacrificing of the dakinis, which need to be included in the public discourse, to balance out the pastel, diluted, sexualized version of the practice that so many people believe is Tantra. The actionable techniques are also worth teaching through the novel. I still do these myself. Blissful. Gothic novels tend to include magick grimoires, exotic mysticism and forbidden, out-of-this world sexuality. And as this novel relates to the role of the occult myths in British imperialism, particularly in the East, I wanted to delve deeply into the Tibetan sensibility and its magickal adaptations. That gave me the chance to describe a kind of love that I enjoy: circulating awareness between myself and a partner. Then, each partner should bring awareness back inside when ready to move on with the day. This is book 3 in the The Agents of the Nevermind series. Where will book 4 take readers next? Tantra: It’s called Giant Jack, a prequel set against the background of rise of the Agency and President Planda, who has gigantism. Planda networks with the budding Agency to create the Occult Revival, which is how he wins the election. Gigantism is a factual hormonal imbalance that makes some people very tall, with big hands, foreheads and such. They don’t tend to live as long, unfortunately, as average. So, Planda had to figure out a way to make the condition look positive in the eyes of the public. He called on the Agents of the Nevermind to run news stories on the Theosophical ancient superior giants and co-opted entertainment, books, documentaries, and cults. They picked Giant Jack to be the cult giant celebrity. Jack achieved gigantism artificially by taking Human Growth Hormone throughout his adolescence. It became a trend, and that’s why there are giants in the series. 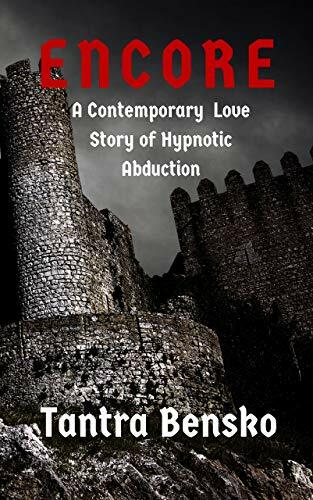 In this Seductive Psychological Suspense, a troupe in England braves threats by hecklers when performing the history of the rare gem, Moldavite. The meteoric stone, featured in legends of Shambhalla and Atlantis, is sought after for its supposed mystical properties. The charismatic hypnotist, Dune, made the troupe famous, especially his wife Susan, the star. Whenever actors become ill, Dune hypnotizes the standbys to believe they actually are the actors they replace on stage, to fool the discerning audience. When the curtain reaches the floor after the encore, the post-hypnotic suggestion always ends, and the standbys recall their identities. Susan mysteriously disappears, so her standby, Miriam, takes her place. Miriam’s friend Colin clutches flowers in the audience, ready to congratulate her on the life-changing evening. He just that day kissed her for the first time. Will he become more than a friend that night? He doesn’t get the chance. Before the curtain lands, with Miriam still believing she is his wife, Dune whisks her away to an alchemist’s castle: Dune has plans for an equinox ritual using the Moldavite elixir made there. Rumors say he is a secret agent, in a cult intertwined with the Nevermind and the Bennu troupe. In fact, Bennu is an ancient Egyptian flamingo deity, similar to the Phoenix, associated with initiation rituals that break down the identity and rebirth a person into a loyal member of a secret society. This contemporary Gothic Romance dramatizes mystical sensual energy manipulation techniques that have been used for both good and bad. And it also explores the dangerous historical appropriation of cultural legends for the sake of forging military alliances.